1 photograph : b&w ; 6 x 8.5 in. Item is a photograph of George Lawson, a professor at Dalhousie University. 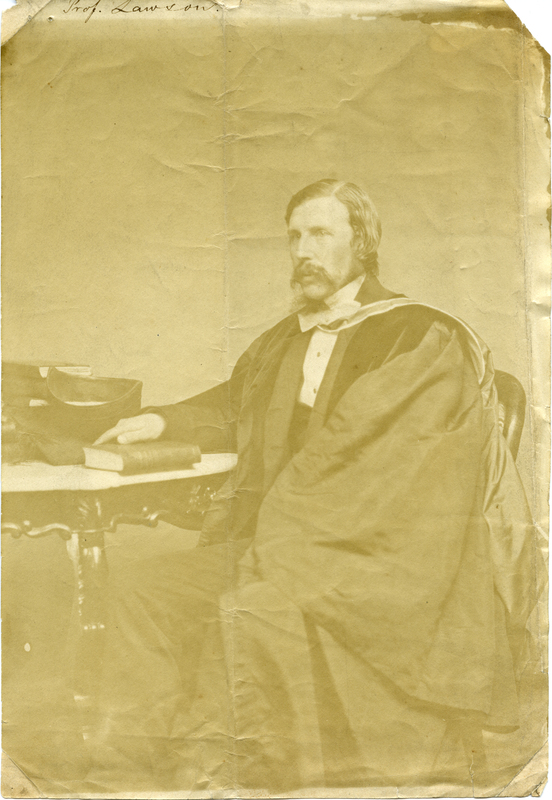 The photograph is a portrait of Lawson sitting next to a table and wearing academic dress. The photograph is very faded.